This is another conversation Gudrun had during the British Applied Mathematics Colloquium which took place 5th – 8th April 2016 in Oxford. Since 2002 Anette Hosoi has been Professor of Mechanical Engineering at MIT (in Cambridge, Massachusetts). She is also a member of the Mathematical Faculty at MIT. After undergraduate education in Princeton she changed to Chicago for a Master's and her PhD in physics. Anette Hosoi wanted to do fluid dynamics even before she had any course on that topic. Then she started to work as Assistant Professor at MIT where everyone wanted to build robots. So she had to find an intersection between fluid and roboters. Her first project were Robo-snailes with her student Brian Chan. Snails move using a thin film of fluid under their foot (and muscles). Since then she has been working on the fascinating boundary of flow and biomechanics. At the BAM Colloquium she was invited for a plenary lecture on "Marine Mammals and Fluid Rectifiers: The Hydrodynamics of Hairy Surfaces". It started with a video of Boston dynamics which showed the terrific abilities some human-like robots have today. Nevertheless, these robots are rigid systems with a finite number of degrees of freedom. Anette Hosoi is working in control and fluid mechanics and got interested in soft systems in the context of robots of a new type. Soft systems are a completely new way to construct robots and for that one has to rethink everything from the bottom up.You are a dreamer she was told for that more than once. For example Octopuses (and snails) move completely different to us and most animals the classcallly designed robots with two, four or more legs copy. At the moment the investigation of those motions is partially triggered by the plausible visualization in computer games and in animated movie sequences. A prominent example for that is the contribution of two mathematicians at UCLA to represent all interactions with snow in the animated movie Frozen. The short verison of their task was to get the physics right when snow falls off trees or people fall into snow - otherwise it just doesn't look right. To operate robots which are not built with mechanical devices but use properties of fluids to move one needs valves and pumps to control flow. They should be cheap and efficient and without any moving parts (since moving parts cause problems). A first famous example for such component is a fluid rectifier which was patented by Nicola Tesla in the 1920ies. His device relied on inertia. But in the small devices as necessary for the new robots there are no inertia. For that Anette Hosoi and her group need to implement new mechnisms. A promising effect is elasticity - especially in channels. Or putting hair on the boundary of channels. Hair can cause asymmetric behaviour in the system. In one direction it bends easily with the flow while in the opposite direction it might hinder flow. While trying to come up with clever ideas for the new type of robots the group found a topic which is present (almost) everywhere in biology - which means a gold mine for research and open questions. Of course hair is interacting with the flow and not just a rigid boundary and one has to admit that in real life applications the related flow area usually is not small (i.e. not negligible in modelling and computations). Mathematically spoken, the model needs a change in the results for the boundary layer. This is clear from the observations and the sought after applications. But it is clear from the mathematical model as well. At the moment they are able to treat the case of low Reynolds number and the linear Stokes equation which of course, is a simplification. But for that case the new boundary conditions are not too complicated and can be treated similar as for porous media (i.e. one has to find an effective permeability). Fortunately even analytic solutions could be calculated. As next steps it would be very interesting to model plunging hairy surfaces into fluids or withdrawing hairy surfaces from fluids (which is even more difficult). This would have a lot of interesting applications and a first question could be to find optimal hair arrangements. This would mean to copy tricks of bat tongues like people at Brown University are doing. I. E. Block Community Lecture: Razor Clams to Robots: The Mathematics Behind Biologically Inspired Design , A. Hosoi at SIAM Annual meeting, 2013. B. Chan, N.J. Balmforth and A.E. 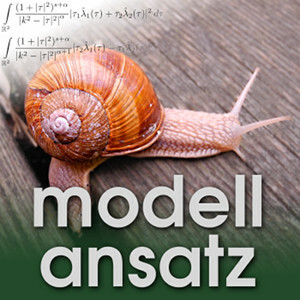 Hosoi: Building a better snail: Lubrication and adhesive locomotion, Phys. Fluids, 17, 113101, 2005.